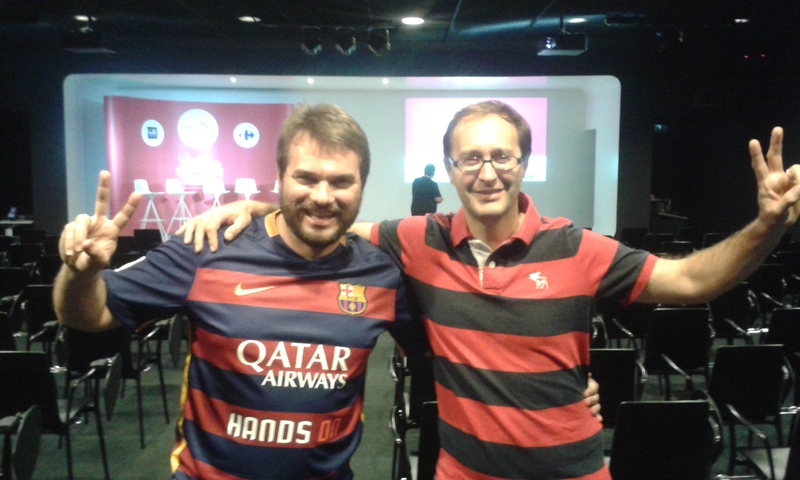 As it happened on 2015, SinergiQ made a significant contribution to the success of the Startup Garden by Ricoh, one of the most important and innovative events in Sónar+D, the International Congress of Digital Culture and Creative Technologies, held in Barcelona on 16, 17 and 18 June at the same time as the Electronic Music Festival Sonar. More than 4,500 professionals of creative industries from 50 countries participated in more than 150 activities. For three days, 30 30 outstanding startups in the creative industries, which were selected after an international call for entries, met at Sónar+D to show their projects to an accumulated audience of 50,000 people at Startup Garden. The startups took mentoring sessions by 30 renowned VC, accelerators and incubators. Besides, the top 10 startups entered the Startup Competition. The winners were Japanese project Kagura (www.kagura.cc), the Swedish Mind Music Labs (www.mindmusiclabs.com) and the Americans Cross Fader (www.crossfader.fm). The Spanish project Openshoes (https://theopenshoes.org) won the Ricoh Prize. Music, virtual reality, augmented reality, artificial intelligence, Internet of things, wearables, digital making, hardware, blockchain, cinema and advertising excel in these chosen apps, platforms and devices. A total of 46 investment funds, accelerators, business angels, and both national and international institutions will be present at Startup Garden in a series of activities, such as Mangrove Capital Partner, 360 Capital Partners, Workday Ventures, Sushi VC, Edition Capital, Telefónica Ventures, Numa, and Wayra. 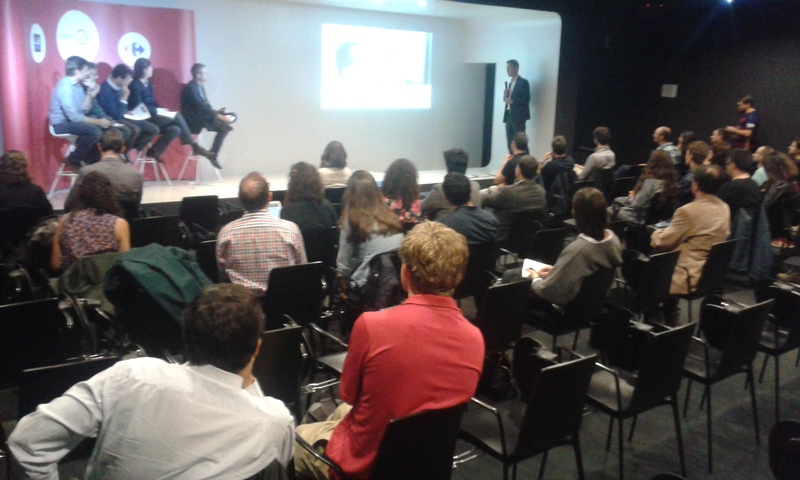 SinergiQ has also coordinated the presence of Business France with a delegation of French 8 startups. 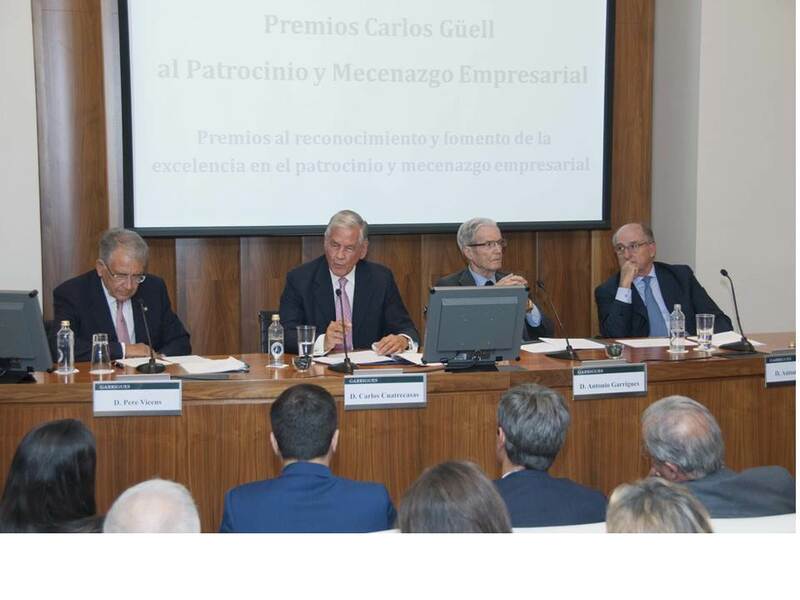 On October 7th, the “ Círculo de Economia awarded the most prestigious Prizes in Spain on Corporate Partnership and Philantropy, the “Carlos Güell Awards” to DKV Seguros, Fundación Bancaria La Caixa, Gas Natural Fenosa, and Grupo CIMD for their outstanding performance in corporate sponsorship. 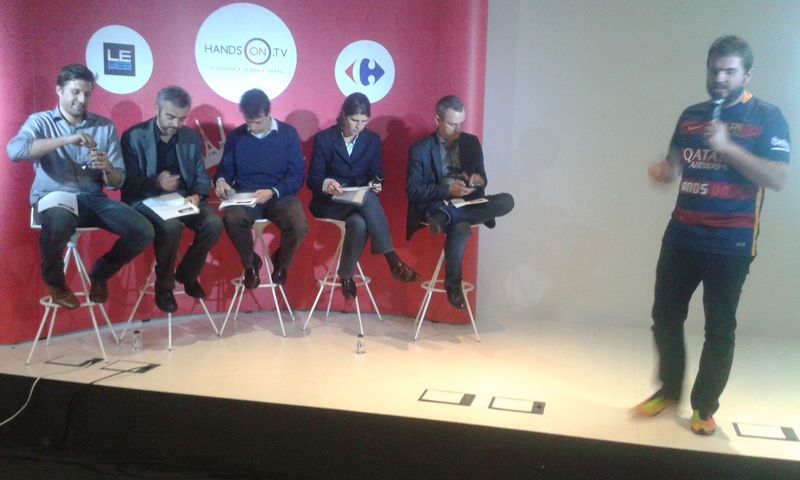 The ceremony took place in Madrid and it was the final act of a long list of events in which Pedro Ralda, as a Secretary of the Jury, helped by the SinergiQ team, coordinated the works of the jury, promoted the Awards amongst relevant corporations and managed all the candidatures dossiers. Furthermore SinergiQ helped in the analysis of each one and submitted a short list of the most outstanding candidates to the Jury during a meeting on April 29th to decide the winners. In Madrid, Pedro Ralda performed as Master of Ceremonies and had to read the Official Jury Verdict on the prize-winners. 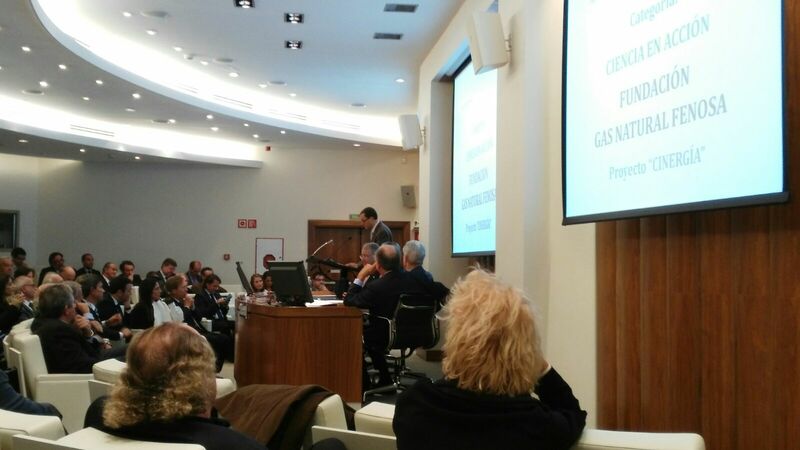 Many relevant personalities such as Antonio Brufau (Chairman of Repsol), Antonio Garrigues Walker (Honorary President of Garrigues) or Amadeo Petitbo (General Director of the Rafael del Pino Foundation and former President of the Spanish High Court for the Defense of Market Competition) were present. Barcelona hosted the FINA World Swimming Championship in 2013 including one of its key competitions: the final phase of the Water Polo World Championships. The Bernat Picornell Sports Center in Montjuic welcomed 32 national teams (both men and women) which engaged in 88 matches under a strong media attention and institutional presence. SinergiQ was responsible for the overall protocol of the championship coordinating a team of professionals and volunteers. Asia is the origin of more than 150 million tourists every year and one of the world-class destinations is Spain. For this reason Casa Asia is organising a biannual event aimed at studying this trend and facilitating the travel experiences between Spain and Asia. The previous editions gathered 90 experts, high officials and experts from China, Japan India and South-Asia, and all the Spanish key tourism industry stakeholders. SinergiQ has been in charge of coordinating the sponsorship policy and is also member of the organising committee since its first edition. Our role is to advise Casa Asia on program development and manage the selection, invitation and follow-up of national and international speakers. The Barcelona roundtable was the last of the preparatory meetings held in 2009 aimed at reaching an international agreement on climate change after 2012. There were 4.500 delegates from 181 countries. One of the most relevant actions of the TckTckTck Climate Alliance was the distribution of 1.000 alarm clocks to delegates in order to warn that time was running out. SinergiQ was responsible for the coordination of the NGOs Alliance’s Technical Secretariat during the meeting. China at Barcelona Summit is the first initiative of promotion of direct investment from China towards Southern Europe and Mediterranean areas. It is a unique opportunity for major investors from the Asian giant to meet relevant stakeholders in Barcelona and expand their operations in Europe. SinergiQ worked as Technical Secretariat of the first three editions, coordinating the program and the agenda, and organizing site visits for Chinese delegations. Our company also managed the registration of delegates and all the logistics of the events (protocol, transport, hostesses, translators, technicians, photographer, catering, etc.). FIBA World Basketball Cup is the world’s most important basketball event- Its 2014 edition was held in Spain, with 24 national teams, 6 cities venues, thousands of people in audience and 15.000 volunteers. Madrid was the main host city and the venue for the Quarters, Semi and Finals. SinergiQ was in charge of protocol, including VIP management in the Madrid venue, leading a team of 40 professionals and volunteers. Casa Asia is a public diplomacy organization created by the Spanish Foreign Affairs Ministry, the Catalan Autonomous Government, the Barcelona City Council and the Madrid City Council. Its goal is to promote the exchange between the Asia & Pacific societies and Spain, developing common projects in the cultural, education and political fields; as well as to increase the commercial and economic relations between Spain and Asia. SinergiQ is responsible for the coordination of the High Board of Trustees, a body integrated by a number of prestigious companies and institutions, as well as to develop and manage the relationship with Casa Asia private partners and collaborating institutions.